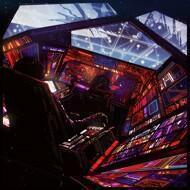 Waxwork Records is excited to release “Original Motion Picture Soundtrack” by PILOTPRIEST, an expansive triple LP deluxe album featuring 22 incredible electronic tracks inspired by film. Each track is draws inspiration from 1970’s and 80's cult-classic films such as Body Double, Manhunter, and Legend. With a large and devoted following, the albums of PILOTPRIEST have long been requested as stand alone vinyl releases. With the combined efforts of Waxwork Records and Anthony Scott Burns, the moving electronic compositions by PILOTPRIEST, which are regarded as a high standard of the synthwave genre, finally make their vinyl debut.